A four-day visit that expiated the forty years' gap! 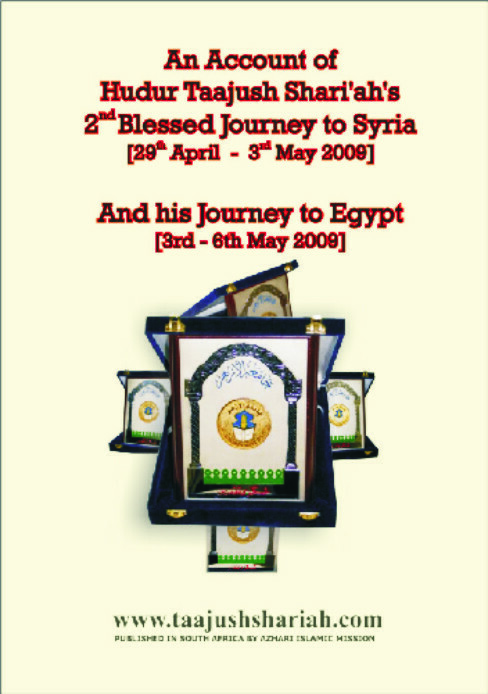 Mawlana Muhammad Kalim al-Qadiri, Bolton, U.K.
What a blessed day 3rd May 2009 was for the people of Egypt. A day that brought such joy and happiness that had not been seen for many years; that kindled the love of Allah and His friends into the hearts of many; that was much anticipated by Arabs and non-Arabs alike. It was a day in which the long-awaited dream finally became a reality; when the ardent lovers of al-Habib al-Mustafa SallAllahu 'alayhi wa Sallam gathered in their hundreds to welcome one of the greatest legends of this age, a sincere and devout lover of al-Habib al-Mustafa SallAllahu 'alayhi wa Sallam, a true Wali of Allah and bless the ancient city of Cairo with his august presence; to welcome a true and sincere and devout lover of al-Habib al-Mustafa SallAllahu 'alayhi wa Sallam, a true Wali of Allah - the successor of al-Mufti al-Azam, Taajush Shari'ah Hazrat 'Allama Mufti Muhammad Akhtar Raza Khan al-Qadiri al-Azhari [May Allah Most Exalted preserve him]. Taajush Shari'ah blessed the residents of Cairo with his paramount knowledge and blessings for four days during which many great 'Ulema and Mashayikh, and students from diverse cultural backgrounds and nationalities, sought blessings from this great spiritual personality. 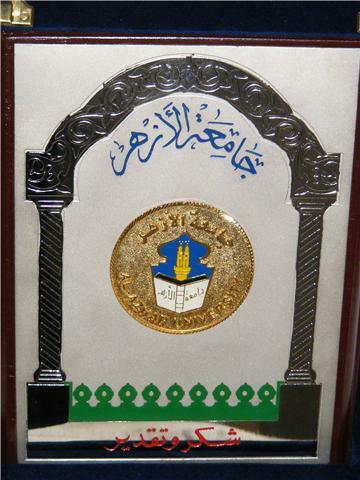 On 4th May 2009 from 11 a.m. until 12 noon, Shaykh al-Azhar Shaykh Muhammad Sa'eed Tantawi met with Hazrat Taajush Shari'ah in the Mashikah al-Azhar. As well as engaging in a lengthy conversation, Hazrat Taajush Shari'ah also presented the Shaykh with a set of books written by Hazrat's great grandfather A'la Hazrat Imam Ahmad Raza Khan RadiAllahu 'anhu as well as books written by Hazrat himself. Shaykh al-Azhar was greatly impressed with this fountain of knowledge that poured forth beautiful pearls of knowledge and wisdom, and was moved when he perceived Hazrat's piety and God-fearingness. Hence, Shaykh al-Azhar respected him much and showed much reverence to Hazrat. In this meeting, Shaykh al-Azhar had expressed two issues contradictory to the viewpoint of Hazrat Taajush Shari'ah. The first was with regards to the Hadith “Ashaabikal Nujum bi-ay-yihim Iqtadaytum Ahtadaytum” which Shaykh al-Azhar had previously deemed as Ghayr Maqbul (not accepted). However, since learning about the intricate details of the sanad and matn of this Hadith from Hazrat, Shaykh al-Azhar changed his opinion and now believed that through talaqqi bil-Qabul, this Hadith is deemed Maqbul (accepted) and is not Mawdu' (fabricated). The second point of difference was regarding the name of the father of Hazrat Ibrahim 'Alayhis Salaam. Shaykh al-Azhar had previously believed Azar (who was rebuked on many occasions in the Holy Qur'an for worshipping idols) to be the father of Hazrat Ibrahim 'Alayhis Salaam. 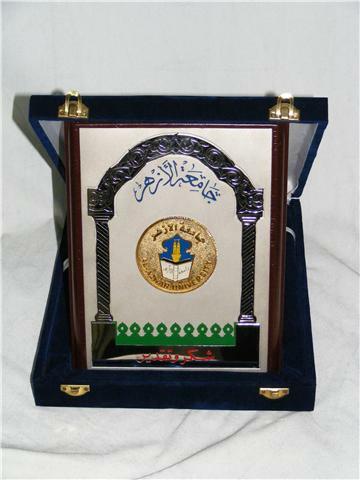 However, after this brief meeting with one of the authorities in the field of knowledge and one of the greatest men of haqiqah, Hazrat Taajush Shari'ah, Shaykh al-Azhar now endorsed the fact that it was not Azar who was the father of Hazrat Ibrahim 'Alayhis Salaam, but Târikh, whilst Azar was his uncle. It should be kept in mind that Hazrat Taajush Shari'ah has already written two detailed books discussing both of the above points at great length, both of which were published in Egypt and widely disseminated throughout Arab and non-Arab lands. During the meeting, al-Azhar also expressed the need to forge stronger relationships between Indian and Egyptian scholars and assured every kind of support between Jami'ah al-Azhar and Jami'at ar-Raza: the latter founded by Hazrat Taajush Shari'ah. Shaykh al-Azhar promised a visit to India to meet him and other scholars and Mashaa'ikh of the Indian sub-continent. With much respect and reverence, Shaykh al-Azhar bid farewell to Hazrat Taajush Shari'ah after this very successful meeting. There were also many students attending, who came from over sixty countries and studied a variety of subjects. The crowd also included Mashayikh and writers. The compere of the event was Shaykh Jalal al-Azhari, translator of the Central Dar al-Ifta of Egypt. Shaykh Jalal gave an excellent introduction to Hazrat Taajush Shari'ah and also presented a qasidah in praise of Sayyidi Taajush Shari'ah. Professor 'Abd al-Qadir an-Nassar, Shaykh Taha Jayshi ad-Dusuqi, Shaykh Sa'd Jawaish and many others delivered speeches on this occasion, all of whom denied the false accusations levied on Ahl-as-Sunnat wal Jama'at Maslak-e-A'la Hazrat and defended and backed its pristine teachings. They made it evident that Maslak-e-A'la Hazrat is not a newly innovated sect, but that this Maslak was followed by the Sahaba and the Tabi'in (the Imams of the Schools of Jurisprudence) and by the righteous who followed them and who shall continue to follow them until the Last Day. During the final moments of this wonderful gathering, the successor of Mufti-e-A'zam, Hazrat Taajush Shari'ah delivered an extraordinary speech for more than thirty fives minutes in eloquent Arabic. Hearing this beautiful Arabic speech from the tongue of a non-Arab and observing the vast ocean of knowledge possessed by this great man of Allah, all those present, from the great Ulema and Mashaa'ikh to the students, both Arab and non-Arab alike, praised Hazrat Taajush Shari'ah and his excellence. Finally, there was a lengthy question and answer session and Hazrat answered each question in an articulate and persuasive manner that satisfied the questioner. The closing words of thanks were delivered by Shaykh Gul Muhammad al-Azhari. As soon as these words ended, there was a surge of Mashayikh, Ulema and students, who had waited in much anticipation to see Hazrat Taajush Shari'ah, the light that shines on his blessed face and to gain barakah by kissing his hands. All of the Ulema and Mashaa'ikh also met Hazrat individually and expressed their joy, happiness and honour upon meeting this Alim-e-Shariat and Rehbar-e-Tariqat. Thereafter, there was a large food ceremony for the hundreds who attended this unique gathering which marked the history of Cairo. Thus ended one of the most exceptional international conferences held in the capital of Egypt. Such a great conference in honour of a great scholar from the Indian sub-continent, in which Ulema, Mashayikh and students in their hundreds had attended, was the first of its kind and was the most unique conference the people of Cairo had witnessed for many years. On the morning of 5th May 2009, there was a special meeting held between Hazrat Taajush Shari'ah, the President of Al-Azhar, Shaykh Ahmad Tayyib and a great scholar and prolific writer of the Arabian peninsula who has the name, Shaykh 'Umar 'Abdullah Kamil in Idarah al-Jami'ah. Hazrat was warmly welcomed and the meeting involved conversations on intricate issues and emphasis was placed on the strengthening of bonds between scholars of Egypt and those from the Indian sub-continent. When the President of al-Azhar University, Shaykh Ahmad Tayyib, was informed that there were more than ninety students who were murid and devout lovers of Hazrat Taajush Shari'ah, he was overcome with joy and happiness. 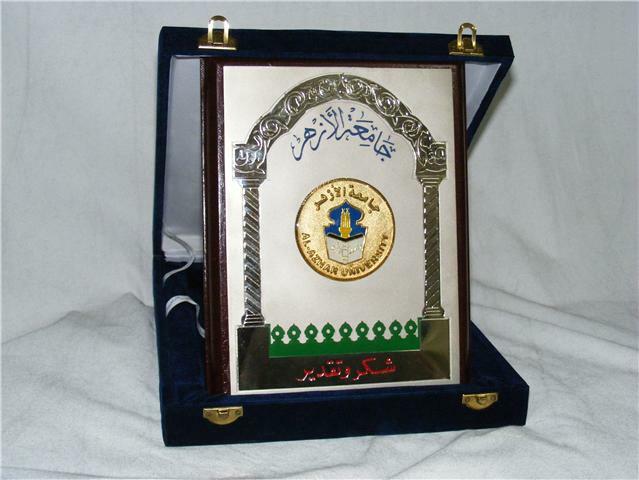 At the end of this meeting Shaykh Ahmad Tayyib awarded Hazrat Taajush Shari'ah with a special award of al-Azhar, an honour reserved for the elite Ulema and Mashayikh. [See photo above]. On 5th May 2009, in the evening, there was Dars-e-Hadith held at Hazrat's accommodation following 'Asr Salaah. Alongside many students from the Indian sub-continent, students from Iraq, Libya, Sudan, Bahrain, al-Jaza'ir and Yemen also attended and took benefit and blessings from this Dars-e-Hadith given by Hazrat Taajush Shari'ah. Students from Pakistan, Bangladesh, Nepal and Sri Lanka also attended in large numbers. For more than an hour Hazrat Taajush Shari'ah quenched the thirst of the Arab and non-Arab students by sharing his vast, sacred Islamic knowledge and wisdom. During the night, there was a feast held at al-Muqattam in the house of a devout lover of A'la Hazrat and the owner of a renowned book publishing company, Dr. Muhammad Khalid Thabit. 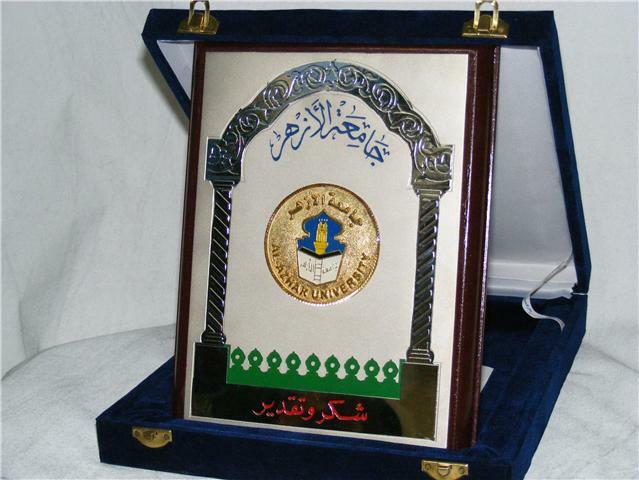 Hazrat Taajush Shari'ah was the guest of honour and many other Ulema and Mashaa'ikh were also invited, amongst whom were Shaykh Yusri ar-Rushdi, the teacher of Bukhari Sharif in al-Azhar University, and Dr. Ahmad Shahatah, the teacher of Tafsir in the Department of Islamic Da'wah. Hazrat Taajush Shari'ah prayed a qasidah in Arabic, which he had composed himself. Finally, Allama Yusri asked many questions which were answered by Hazrat in articulate Arabic with references to and evidence from the Qur'an and Hadith. They were awe inspired by Hazrat's knowledge and, most importantly, by his piety and God-fearingness, had a massive impact on those present, which included the Mashaa'ikh and Ulema. They all, including Shaykh Yusri, rushed forward to swear the oath of allegiance (bay'ah) to and become muridin (disciples) of Hazrat Taajush Shari'ah. Hazrat Taajush Shari'ah took their bay'at in the silsila mentioning the etiquettes, adab and the words of bay'at in Arabic. 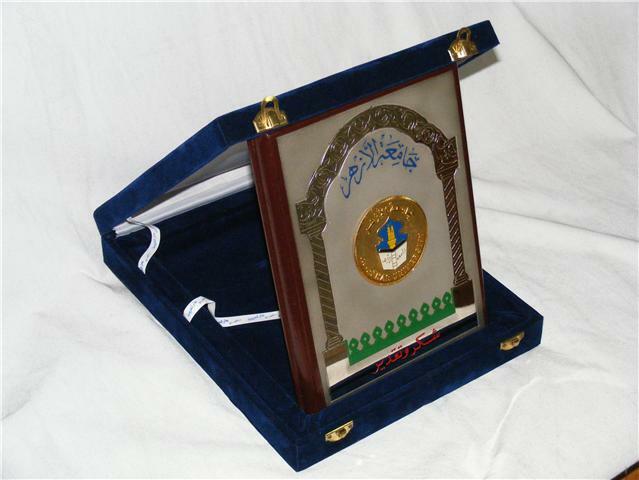 He also endowed them with Ijazah in Hadith and also Ijazah in the silsilah. 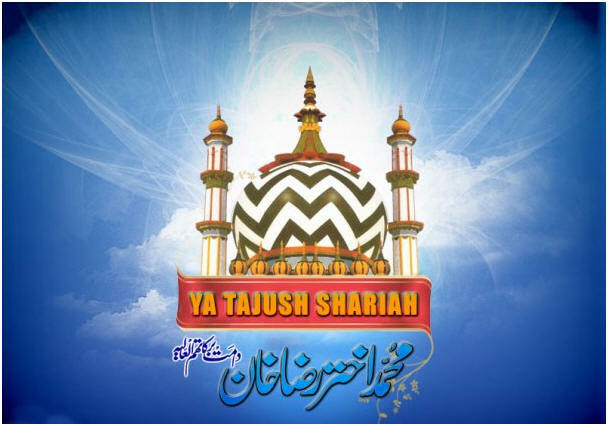 On 6th May 2009, Hazrat Taajush Shari'ah made ziyarah of the great Awliyah and Mashayikh who rest in Cairo. Hazrat lead the people in prayer for Zohar at the renowned Masjid of Imam al-Husain RadiAllahu 'anhu and lead the 'Asr prayer at the Masjid of Sayyidah Zaynab RadiAllahu 'anha, at which many people continued to enter in to the silsilah and became murids of Hazrat. Furthermore, both the Muhaddith of Alexandria and the Grand Mufti of Egypt, Shaykh Dr. Ali Jumu'ah, conversed with Hazrat via the phone to seek ijazah from Hazrat in the field of Hadith, which they were granted. The Grand Mufti also presented his books to Hazrat. Thus ended this fruitful visit to Egypt. Hazrat Taajush Shari'ah had last visited Egypt when he was studying at al-Azhar in 1963. However, in just four days, Hazrat expiated the forty years' gap and blessed the people of Egypt with his august presence.